I have to admit I was a little worried about finding affordable accommodation in Taiwan. 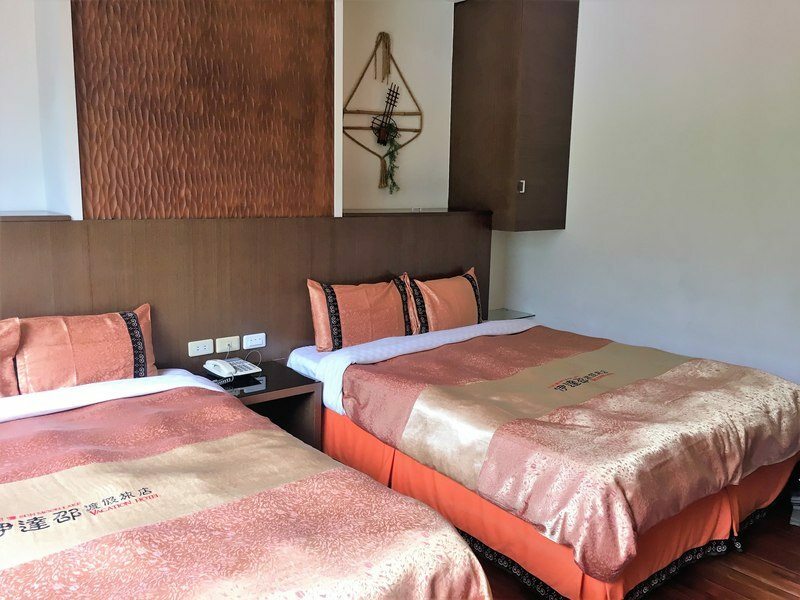 It’s easy to find great budget accommodation when you are traveling around Southeast Asia, but in many other parts of the world accommodation makes up the biggest chunk of your daily travel budget. 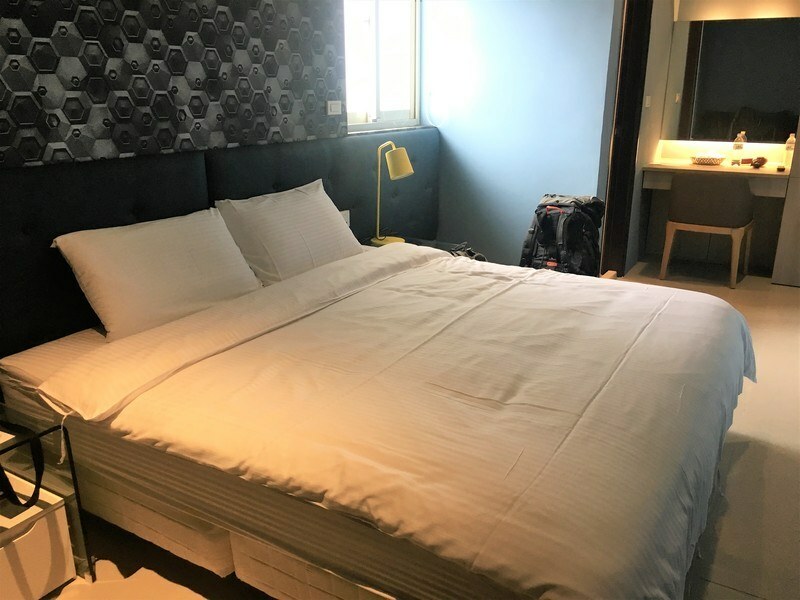 On average we paid €23 per night during our 1 month trip around Taiwan! Of course I did search Agoda, Booking and Airbnb meticulously to find the best possible options, but my efforts definitely paid off! Almost all the places we stayed at were excellent value for money, you can read a short review of all our accommodations below. Full disclosure: the links provided are affiliate links which help me run this site and stay on the road. Your support is very much appreciated! I only provide links for places I would happily return to myself, which is why there are no links provided for 2 of the 10 accommodations in this list. 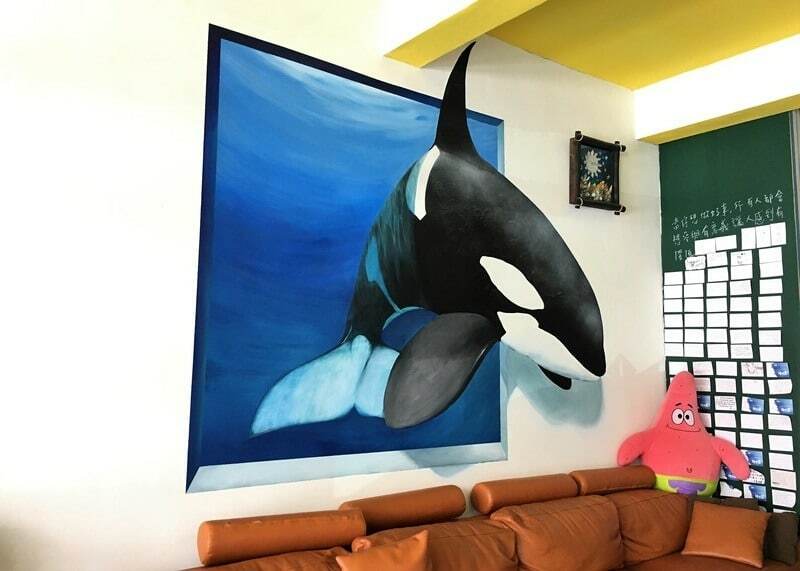 This was our first accommodation in Taiwan, I booked this place via Airbnb. Our room was very big and had a little balcony. There was air conditioning and fan which made it easy to stay cool in hot and sunny Kaohsiung. Our private (attached) bathroom was clean and stocked with shampoo, soap and toothpaste. Large shared common room, hot & cold water dispenser and possibility to do laundry. 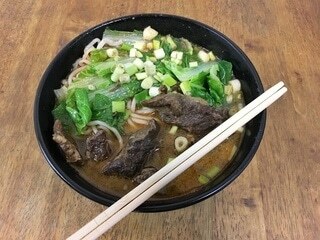 The location is great: next to the Sky Tower, 7-11 & Family Mart around the corner and close to many good local restaurants. It’s also within easy walking distance of the MRT (Sanduo Shopping District Station). Read more about our 3 days in Kaohsiung! Communication with our hostess Yichi was perfect, she replied to all my questions within minutes and speaks English very well. • Duration of our stay: 3 nights. • Price: €26 per night. • How to book: check Yichi’s place on Airbnb. Get a discount on your first Airbnb stay with this link! This is a lovely villa with a large shared living room and several bedrooms. We were the only people staying in the villa during our 2 night stay. In the living room there is hot and cold water dispenser, plus teabags and instant coffee. Our room was large and light with attached bathroom (very clean). – Check-in was a little difficult because there was no reception. I had to call the office to ask if they could send someone to the villa, because when we arrived there was nobody there. We didn’t have to wait long, however, the lady handling the check-in only spoke Chinese. My Chinese is non-existent so that was a challenge. She was very friendly though and by miming and signing we did manage to understand each other. – It’s far from the center of Hengchun (3km). When we arrived in Henchung by bus, we took a taxi to get to the villa (135NT). We hired a scooter for the duration of our stay to get around and to explore Kenting National Park. Altogether I would probably not stay here again, despite the nice room. 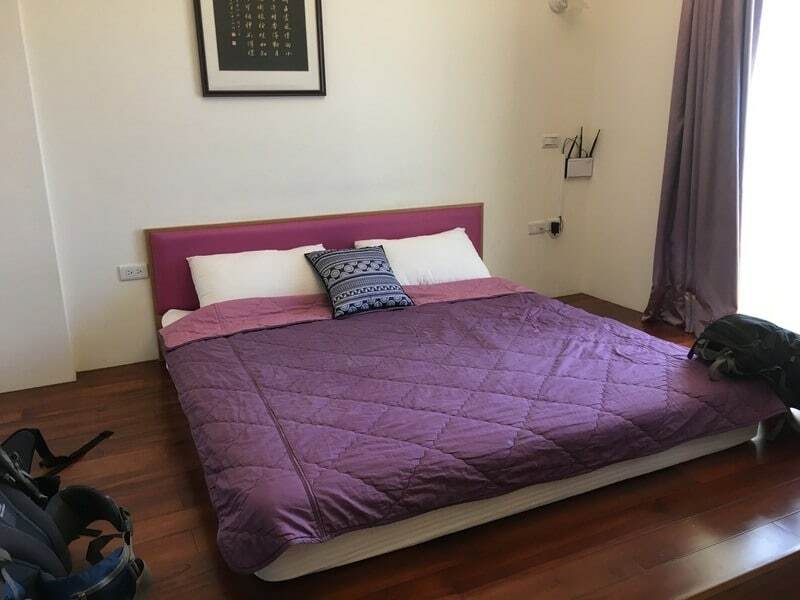 There is plenty of accommodation available in Hengchun, and staying in the city center makes things much easier. Therefore, I do not provide a link for this accommodation. • Duration of our stay: 2 nights. • Price: €24 per night. This place was awesome and I highly recommend to stay here! It’s very central: 50 meter to a Kenting express bus stop, 50m to 7-11 & Family Mart, 50m to electric scooter rental. We had a very large room with super comfortable beds (tiny downside: we had 2 single beds instead of a double). The shared bathroom was very clean and towels were included. On the 1st floor there is a hot & cold water dispenser. What really made our stay was David, the awesome guy who runs the B&B. He helped us out with all our questions and even came to our rescue when our electric scooter died on a hill that was too steep. Mind you, we were 20km away from the B&B in an area where nobody spoke any English, I’m not sure what we would have done without his help. We would probably still be there! • Duration of our stay: 1 night. • Price: €22 per night. • How to book: check Kenting Light Blue Bed and Breakfast on Agoda. 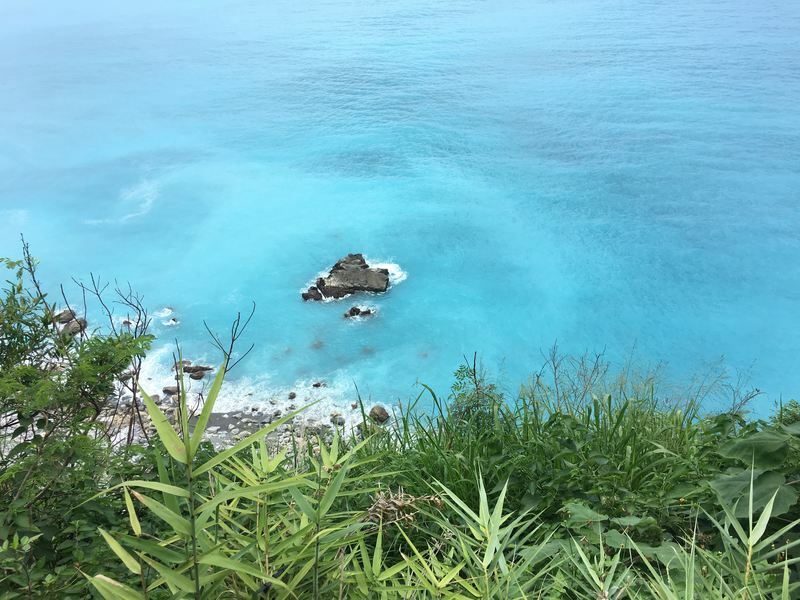 Read more about our 3 days in Kenting National Park! This hotel was excellent value for money: we only paid €17 per night for a small, but newly renovated, room! The location of the hotel is great, across the train station and next to a T-bike station (Tainan’s public bike rental). Spotless room with comfortable bed. Modern bathroom (great shower), towels and toiletries provided. Hot and cold water dispenser in the hallway. WiFi wasn’t great, but overall it was much more than we expected for the price we paid. Important note: we first got room 1319 on the 13th floor (which was being renovated at the time of our visit in May 2017). However, I asked for a different room because the room smelled strongly of cigarette smoke. We got a renovated room on the 2nd floor (219) instead, which was very clean and didn’t smell at all. • Price: €17 per night. • How to book: check Tie Dao Hotel on Agoda and Booking. Read more about our 3 days in Tainan! Junko is a lovely host, she is very friendly and replied with detailed directions to the apartment within minutes after I made my booking. She also cooked us a delicious breakfast and it felt like an authentic home-stay. While the house is not in the city center, it can easily be reached by bus. However, the major downside was the bed… It was not a mattress but a thin blanket with a bamboo mat on top and I found it super uncomfortable to sleep on. I actually pulled out my own air mattress and slept on that instead. Another downside were the long black hairs everywhere (on the blankets, on the bed and on the floor). We only stayed 1 night and booked another room the next day. I don’t provide a link because I wouldn’t choose to stay here again, despite the lovely host. Some pluses and minuses for this accommodation. On the upside: it was a nice and spacious room with a comfortable bed. Attached bathroom, towels and toiletries provided. The hostel is located in lively area with plenty of options for food, the bus stop is also very close. On the downside: the bathroom smelled a little smoky, check-in is after 5pm (late!) and there was no reception (communication only via email). However, check-in was smooth despite the lack of a reception and the language barrier. The girl who handled our check-in did not speak English, but used a convenient translate app on her phone to give us all the relevant information. Altogether we had a comfortable stay and I would stay there again. 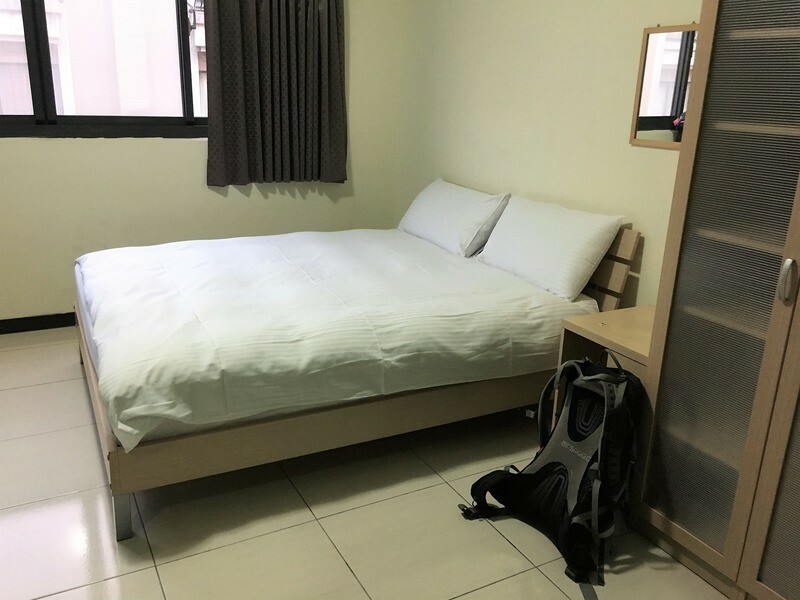 • How to book: check Taichung Loft Hostel – Yizhong on Agoda. A good place to stay at the beautiful Sun Moon Lake. Another smooth check-in despite the language barrier, the nice lady behind the reception used an app and Google translate to explain all the important things about the hotel. A tasty Chinese breakfast is included and served between 7.30-8.30. Our room was very big with 2 double beds and a beautiful mountain view. I do think we got upgraded because we stayed there during the week, the hotel was completely empty except for us. We had a bathroom with a bath, the shower was a bit low (for me it was fine but my tall husband had to stoop). Lots of toiletries and towels provided. 100 meter to the round-the-lake bus stop. • Price: €39 per night. • How to book: check Itathao Hotel on Agoda and Booking. A very modern apartment and a nice room which we booked via Airbnb. Everything was very clean and nicely decorated. Room is small but clean, comfortable bed with firm mattress, fan and air-con, private bathroom with good shower. Contact with Jemma, the hostess, was excellent. She always replied within minutes. There is a Youbike station (Taipei’s public bike rental) in front of the apartment building and at Cailiao MRT station, so it’s easy to cycle there. On foot it’s 10-15 minutes to the MRT. • Price: €25 per night. • How to book: check Jemma’s place on Airbnb. In total we stayed at David’s place for 9 nights! First we stayed for 3 nights before we left to Hualien. When we got back to Taipei after our Hualien trip, we stayed another 6 nights before catching our flight to Canada. Which only proves we had a really great stay, otherwise we wouldn’t have gone back. 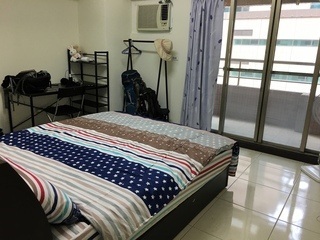 The apartment is located in a quiet neighborhood at the end of the yellow MRT line (Nanshijiao). We used the Youbike to get from the MRT station to the house. The apartment building looks rather old but the room itself is large and light. The bed is comfortable, there is air-conditioning and a TV. The shared bathroom is clean and has a good shower. Hot & cold water available in the kitchen. We could use the laundry machine and dry our laundry on the balcony, very convenient! David, the host, is a great guy and super helpful! He came to the MRT station guide us to the apartment. He also sent us a map of the neighborhood which he drew himself. On the map he has drawn the directions to the apartment, but also gives excellent suggestions for local food. He helped us find the best dumplings and beef noodle soup ever! Altogether both our stays were perfect and I can highly recommend to stay at David’s place when you are visiting Taipei. 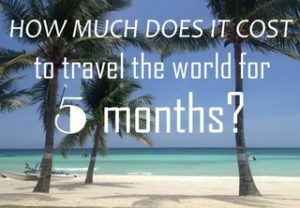 • Duration of our stay: 9 nights. • Price: €17-21 per night. • How to book: check David’s place on Airbnb. 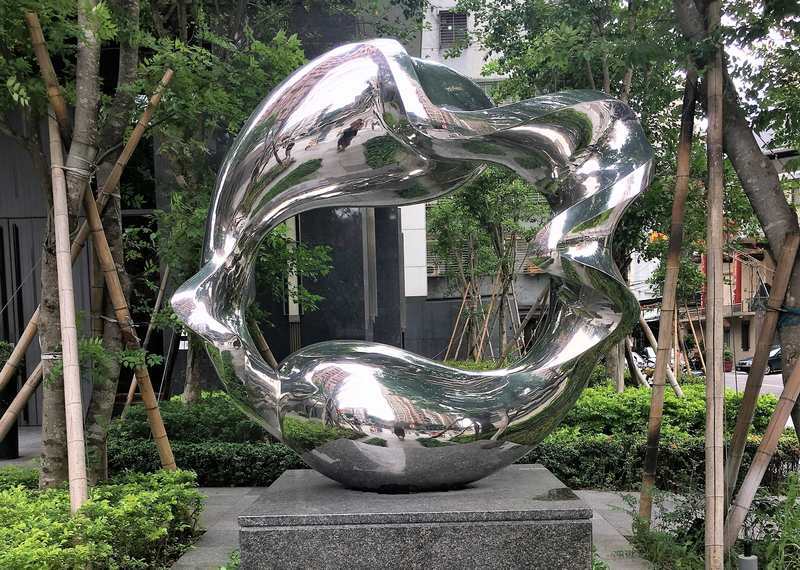 Read more about things to do in Taipei! This was our favorite accommodation in Taiwan because of the cute Bee theme! Our room was very big with a super comfortable bed. We even had a sofa and small desk. The bathroom was modern with an excellent shower. 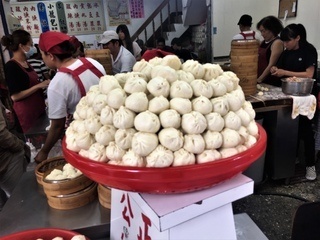 The hostess was amazing and helped us locate the best baozi and Hualiens famous onion egg pancake (see pictures below). She also helped us rent a scooter so we could explore the beautiful Taroko Gorge. Read more about our 3 days in Hualien! Where to find these accommodations? In the map below you find the location of our accommodations. As you can see we almost made a full circle around Taiwan. We also planned to go to Taitung (in the Southeast) but unfortunately the typhoon season had started an it was raining a lot on the East coast. Let me know if you have any questions! Want to read more about Taiwan? 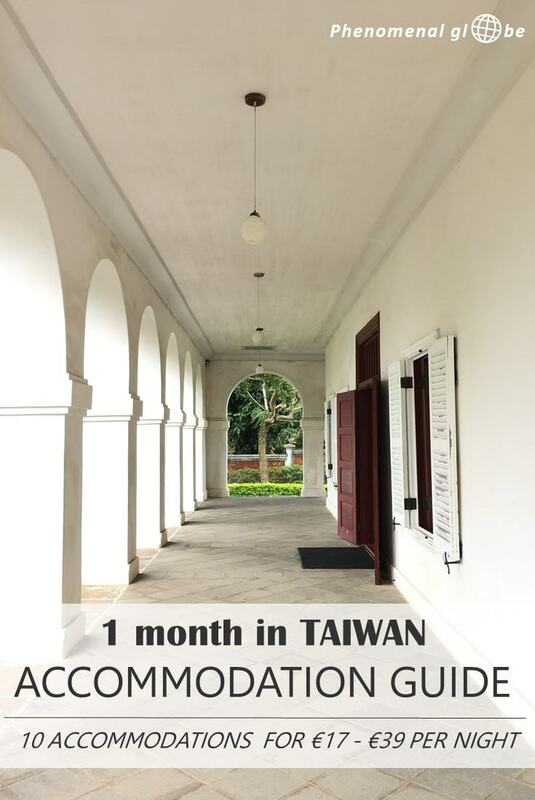 Check out my 1 month itinerary and my other Taiwan posts here. They all look nice and have very good rates. A great comprehensive read. All of these accommodations are simply awesome! 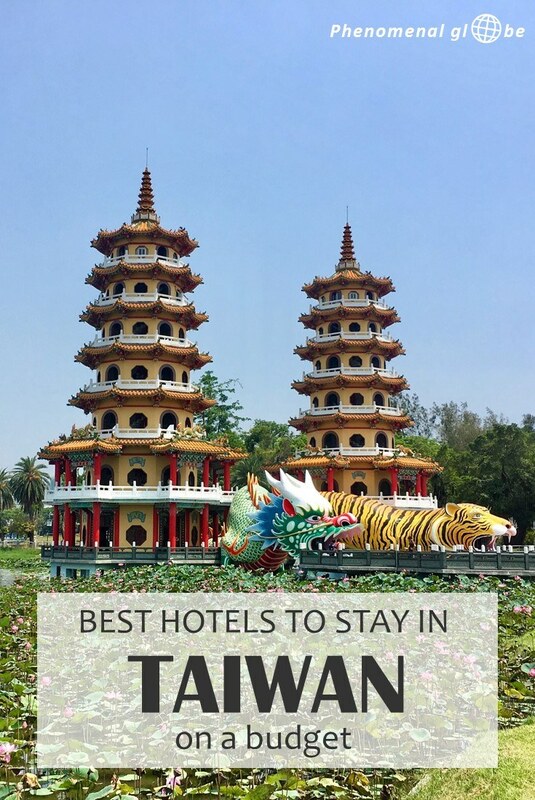 I would love to stay in any of them when in Taiwan. When’s the best time of the year to go there? 23 a night is phenomenal Lotte! As was noted, all look like quality lodgings too. When we visited Taipei it was on a 24 hour layover. Airlines picked up the tab which worked nicely as we stayed at the Novotel. Yep, a little more than 23 a night LOL. Luxe hotel and we enjoyed every second of the stay. Well done on these deals, especially because each place looks awesome. Thank you, I thought it was pretty good for Taiwan too! For a short layover the Novotel sounds great (especially with the airport pick-up, how convenient!. But yes, I imagine that would be more than 23 a night;-). We flew from Amsterdam to Taiwan and then on to Thailand. We flew over the island and it looked so amazing. I really want to go to Taiwan now. Then I found out that it is quite expensive, but it’s good to know that there are budget options! Taiwan is beautiful indeed and can definitely be traveled on a budget! I was pleasantly surprised how easy it was to find affordable accommodation, particularly during weekdays and via Airbnb. Hope you can visit Taiwan soon! These are awesome places in Taiwan, Your blog is very helpful thank you for sharing.